The process of adding sound or video to the service plan is very similar to that for adding images. Click on the Media bar of the library, click on the media item you want and click on ⊕ to add it to the plan. 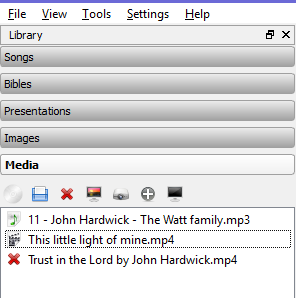 Then import it to the library by clicking on the disk symbol under Media.